Avissawella, (අවිස්සාවේල්ල in Sinhala, அவிசாவளை in Tamil) is a township in Sri Lanka, governed by an Urban Council, situated on the A4 route from Colombo to Ratnapura, Colombo District, Western Province, Sri Lanka, approximately 59 km east of capital Colombo. It is also known as Seethawakapura. The Urban Council (UrbCo) was a municipal council in Hong Kong responsible for municipal services on Hong Kong Island and in Kowloon. These services were provided by the council's executive arm, the Urban Services Department. The equivalent body for the New Territories was the Regional Council. It is on the periphery of the Western Province on its border with the Sabaragamuwa Province. The Western Province is one of the nine provinces of Sri Lanka, the first level administrative division of the country. The provinces have existed since the 19th century but did not have any legal status until 1987 when the 13th Amendment to the Constitution of Sri Lanka established provincial councils. The province is the most densely populated province in the country and is home to the legislative capital Sri Jayawardenepura Kotte as well to Colombo, the nation's administrative and business center. The Sabaragamuwa Province, is one of the nine provinces of Sri Lanka, the first level administrative division of the country. 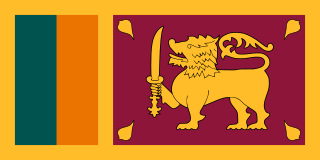 The provinces have existed since the 19th century but did not have any legal status until 1987 when the 13th Amendment to the Constitution of Sri Lanka established provincial councils. The Sabaragamuwa Province contains two districts: Ratnapura and Kegalle. It is named after its former indigenous inhabitants, namely the Sabara, an indic term for hunter-gatherer tribes, a term seldom used in ancient Sri Lanka. Sabaragamuwa University is in Belihuloya. This town has a rich and proud history in the annals of its military exploits against the Portuguese invaders as it was the capital of Sitawaka Kingdom from 1521 to 1593. Seethawaka was ruled by King Mayadunne and later his son Rajasinghe the First during this period. There is a lore that Rajasinghe was a parricide but some historians discount this as a story spread by jealousy. The Kingdom of Sitawaka was a kingdom located in south-central Sri Lanka. It emerged from the division of the Kingdom of Kotte following the Spoiling of Vijayabahu in 1521, and over the course of the next seventy years came to dominate much of the island. Sitawaka also offered fierce resistance to the Portuguese, who had arrived on the island in 1505. Despite its military successes, Sitawaka remained unstable, having to contend with repeated uprisings in its restive Kandyan territories, as well as a wide-ranging and often devastating conflict with the Portuguese. Sitawaka disintegrated soon after the death of its last king Rajasimha I in 1593. Mayadunne (1501–1581) was a king of the Kingdom of Sitawaka, who ruled for 60 years between 1521 and 1581. Mayadunne was a fierce opponent of the Portuguese, who had arrived on the Island in 1505. He devoted his whole life attempting to oust his brother Bhuvanekabahu, the king of Kotte and thereby preserve the independence of Lanka, which was being undermined by the Portuguese intrigue. He constantly invaded the territory of Bhuvanekabahu of Kotte. Avissawella is the junction from where the oldest land route to the Hill Country via Hatton and the road down South via Ratnapura diverge. The Kelani Valley Railway line was originally built from Colombo to Yatiyanthota via Avissawella during 1900–1902. It was branched off at Avissawella and extended up to Opanayaka via Ratnapura (completed in 1912). Originally it was built as a 2 ft 6 in (762 mm) narrow-gauge line to serve the rubber plantations in the area. The railway line between Avissawella and Yatiyanthota was removed in 1942, and the line from Homagama to Opanayaka abandoned in 1973. The railway services were restarted up to Avissawella in 1978 and is now a broad gauge line. The town is governed by the Seethawakapura (formerly Avissawella) Urban Council. During the past, this area was known as Seethawaka and this name is used to identify a section of this town to this day. There are folklore which relate this name to "Seetha Devi" of Ramayanaya fame. Seethawaka legend has become richer because of these stories. Seethawaka river, a tributary of the Kelani river, flows in the outskirts of the city. The city is rapidly transforming into an industrial city with the establishment of the Seethawaka Export Promotion Zone (industrial zone) during late 1990s. After this Zone was established, the population of Avissawella increased rapidly due to migrant workers and resultant increase in residents. Transport in Sri Lanka is based on its road network, which is centred on the country's capital Colombo. A rail network handles a portion of Sri Lanka's transport needs. There are navigable waterways, harbours and two international airports: in Katunayake, 22 miles (35 km) north of Colombo, and in Hambantota. Padukka is a town in the district of Colombo in the Western Province of Sri Lanka. It has a population of roughly 8,000. Elevation 44feet. Ratnapura is a district of Sri Lanka in the Sabaragamuwa Province. Hanwella is a town in Sri Lanka, situated about 30 km from Colombo, the commercial capital of the country. Hanwella lies on the Colombo-Ratnapura main road, on the banks of the Kelani River. Homagama is a town in the Colombo District, Sri Lanka, about 24 kilometres (15 mi) south-east of Colombo. The Homagama Pradeshiya Sabha consists of the Homagama divisional secretariat and 10 GN division of Padukka DS division. The total Land area is about is 137 square kilometres (53 sq mi) of 90 GN division. The Pradeshiya Sabha was established under act No 15 of 1987, and has the highest population of any pradeshiya sabha area in Sri Lanka. It is home to notable places such as the campus of the National School of Business Management, Sri Lanka Institute of Nanotechnology, the Panagoda Cantonment, Upali Newspapers, Mahinda Rajapaksa College Homagama, St. Michael's College, Homagama, the Sri lanka Buddhist and Pali University, Ceylon Biscuits Limited and the Laxapana Battery Company. Maharagama is a large suburb of Colombo city in Colombo District, Sri Lanka on the High-Level (A4) Road about 15 km from the centre of the commercial capital. It developed rapidly in the 1980s as a dormitory suburb. Governed by the Maharagama Urban Council, the town possesses facilities like supermarkets, department stores, clothing, food and beverages shops to fulfill the needs of citizens. Rail transport in Sri Lanka was conceived in the 1850s to develop and unify Sri Lanka. Service began in 1864, with the construction of the Main Line from Colombo to Ambepussa 54 kilometres (34 mi) to the east. During the first half of the 20th century a tram system operated in Colombo, carrying commuters within the city. The Kelani River is a 145-kilometre-long (90 mi) river in Sri Lanka. Ranking as the fourth-longest river in the country, it stretches from the Sri Pada Mountain Range to Colombo. It flows through or bordering the Sri Lankan districts of Nuwara Eliya, Ratnapura, Kegalle, Gampaha and Colombo.The kelani river also flows through the capital of Sri Lanka,Colombo and provides 80%of its drinking water. The Kelani Valley railway line in Sri Lanka, covering the breadth of Colombo District and some parts of Kegalla and Ratnapura Districts. The line is owned, maintained, and operated by Sri Lanka Railways. Kottawa is one of main city in Colombo district City of Colombo and is administered by the Maharagama Urban Council. It is located 21 km (13 mi) from the centre of Colombo. Waga is an isolated small town in Colombo District, Sri Lanka. Administrated by Seethawaka Pradeshiya Sabha, it is part of the Padukka Divisional Secretary's Division. The town can be reached on road from Colombo via A4 road, turning off at either Meepe near Padukka or at Kaluaggala near Hanwella. The Waga station of the Kelani Valley Railway Line is also situated in Kahahena junction of the town. The Labugama and Kalatuwawa reservoirs, which supply water to the Colombo city and the forest reserves of Labugama and Udagama are also situated nearby. Ranmudda waterfall is one of the visitors attraction in this area. By using Kelani Valley train Avissawella Line anyone can reach this town. This town has Railway station and bus station next to each other. Majority of the population are Sinhala Buddhist and Waga Kahahena Temple is one of the famous temple in this area. Some people call this area as Kahahena. Kosgama is a small town in Colombo District, Sri Lanka. Located 46 km from Colombo, on the A4 highway, it is also served by the Kelani Valley Railway Line. The town is administered by the Seethawaka Pradeshiya Sabha. Godagama is a suburb of city of Colombo Sri Lanka. It is located in Colombo District within the Western Province, Sri Lanka. Kottawa Railway Station is a railway station near Kottawa, Sri Lanka, which is a suburb city of Colombo. This station serves the Kaleni Valley Line and services are provided by Sri Lanka Railways. Class S8 is a Diesel multiple unit (DMU) made by Hitachi and Hyundai, operated by Sri Lanka Railways. It was imported to Sri Lanka in 1991 and, according to the website Sri Lanka Railways Info Page, is "the best diesel multiple unit ever imported to Sri Lanka". 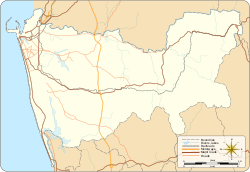 The Western Region Megapolis is an urban planning, zoning, and development area stretching from Negombo in the north to Beruwela in the south, and was formulated as a project aimed at creating a planned megapolis in Sri Lanka's Western Province by 2030. Eheliyagoda is a town in Ratnapura District, Sabaragamuwa Province, Sri Lanka. It is located approximately 47 km (29 mi) east of Colombo. This Western Province, Sri Lanka location article is a stub. You can help Wikipedia by expanding it.